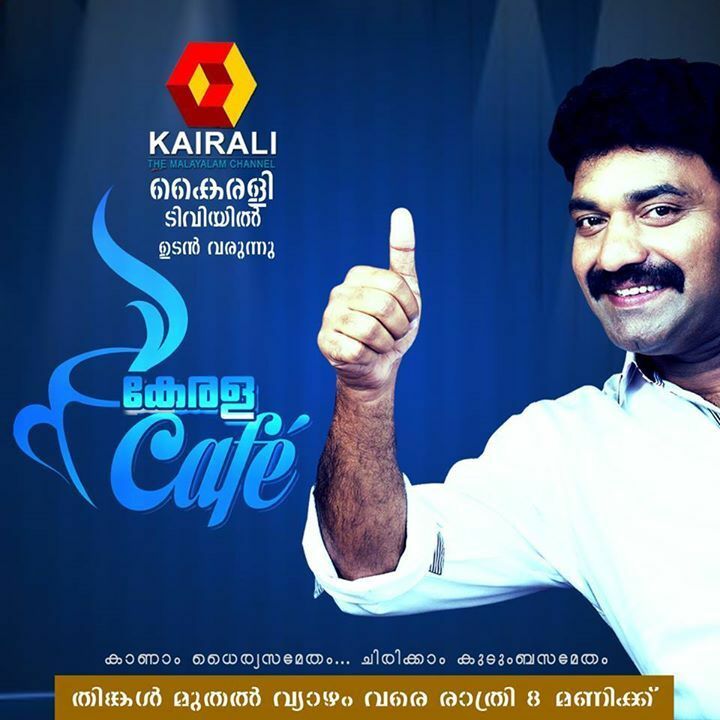 Kerala Cafe is the Latest Malayalam Comedy Program On Kairali TV. It will Start on Monday, 18th August 2014 at 8.00 P.M. This Show is Directed By Ajith C Lokesh. Its Written by Abraham Thacheril, Subish Guinnes and Aneesh Bal. This Show is Based on Hotel, Kottayam Naseer is the Manager Of That Hotel. Ullas Pandalam Is The Security at That Hotel. Binu Adimali is The Chef, Saju Navodaya is the Beautition. In Every Episode Their will be a Guest, From Cinema, Singers, Politics etc. This is a Comedy Program Mixed With Music and Other stuffs. Ajith Koothattukulam, Shaijo Adimali, Vinod Kedamangalam, Ajith Kozhikkod, Sivadas Mattanur, Kollam Sudhi etc the Other People in the Show. Watch Kerala Cafe Every Monday to Thursday at 8.00 P.M to 9.00 P.m Only On Your Kairali TV.